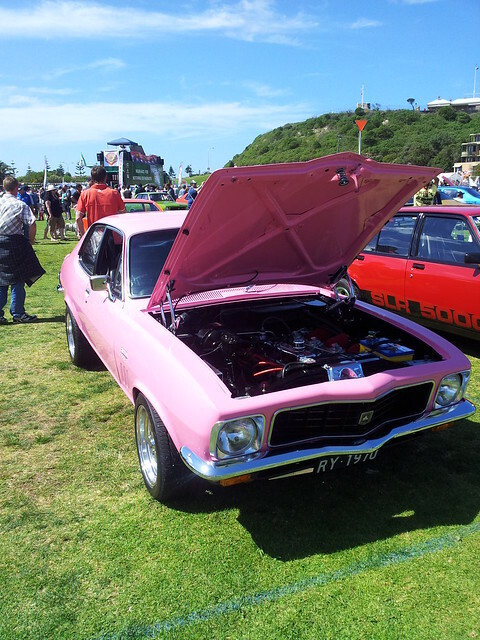 Can’t you just see me in this Pink Torana? The perfect combination of cute and bogan, just like me! Let’s add a few accessories, hey? First up would be the Car seat covers and floor mats , of course. A decal for the back , number plate frames stickers , sun shade and key ring . I should send this to my brother, along with some kind of recording device so I can watch his head explode. mwahwaha. I assume he’s shuddered at the sight of the Hello Kitty ferrari already? He is a Holden bloke through and through, no fancy foreign cars for him. A Hello Kitty Torana would be sacrilegious. That is beautiful. A well kept torana is a thing if beauty.